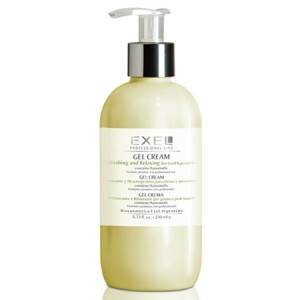 Pleasant gel cream which helps improve the appearance of cellulite signs. Moisturises, softens and tones. Ideal to be used as homecare for the “Body Sculpting Program to help improve cellulite appearance” to obtain rapid and effective results. INGREDIENTS: Hydrocotyle, Ivy and Yerba Mate extracts, Caffeine, Carnitine, Silanols and Coenzyme A. 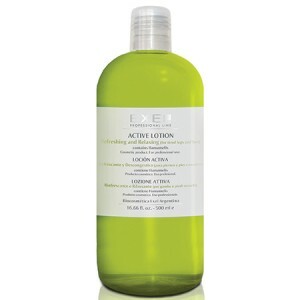 A light textured lotion for improving the appearance of cellulite and the skin condition. Best used twice daily, the Body Sculpting Gel Cream absorbs quickly leaving the skin hydrated and softer, while tightening the skin and diminishing the dimpled appearance caused by cellulite. 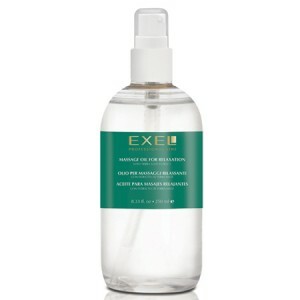 It is also recommended for use after body treatments to maintain results. Cellulite results from pockets of excess fat being stored in the deeper layers of the skin, resulting in an uneven “orange peel” effect. 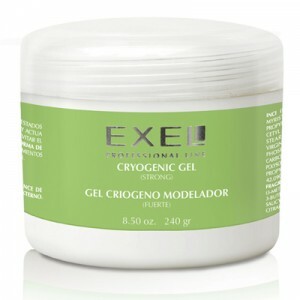 Exel Body Sculpting Gel Cream is formulated with liposomes, a delivery system that encapsulates the reductive active ingredients, allowing the particle to easily reach the deeper layers of the skin where they are dispersed. When applied with a gentle massage, this encourages lymphatic drainage and blood circulation. It contains active ingredients of Centella Asiatica Extract, Hedera Helix Extract, Caffeine and Yerba Mate, a species of the holly family of plants, consumed by ancient cultures from South America for its health benefits, as a drink prepared with an infusion of its leaves. Yerba Mate has a complex balance of antioxidants and contains the natural substance xanthine, which is effective as a thermogenic fat burning agent as well as A, B and C vitamins and minerals. 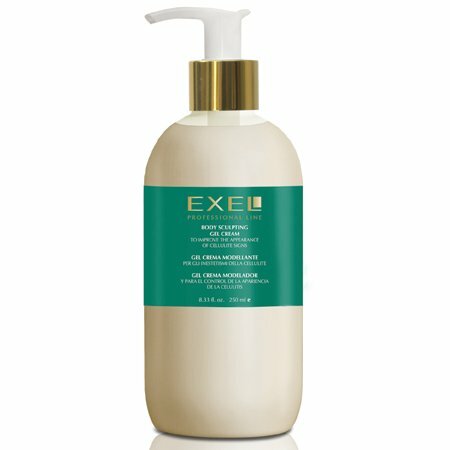 It is a natural detoxifier and diuretic that improves the appearance of cellulite.